We want to help solve this problem by providing kids in Southern Utah with above average, hands-on, STEM learning experiences. Kids in our community can acquire the skills and knowledge necessary to fill the coming shortage of workers in STEM fields in our very own backyard. 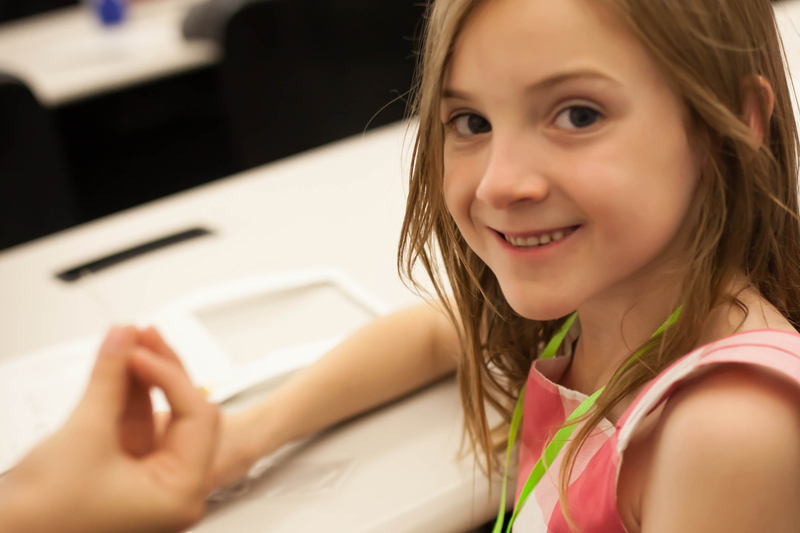 Because technology often outpaces the STEM curriculum taught in schools, kids can get get ahead by learning these skills sooner than in a traditional classroom in our STEM based camps taught by our talented and tech-savvy instructors. 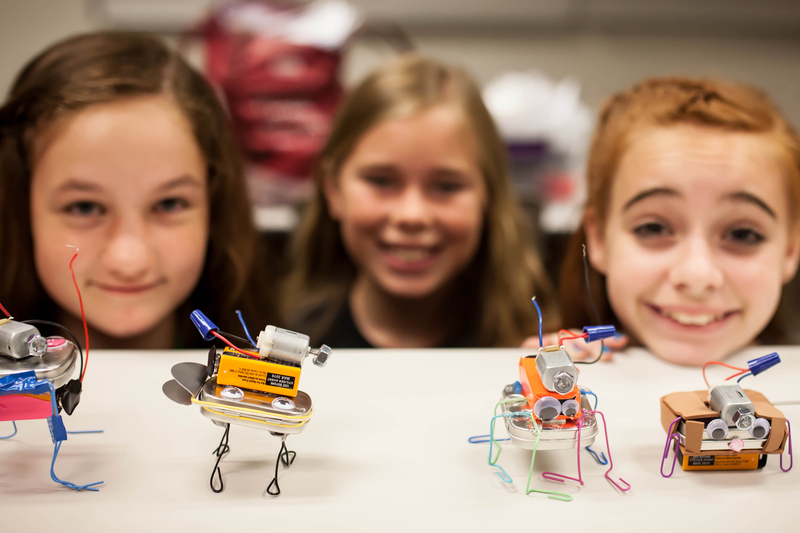 STEM education for K-12 kids is growing in the United States, but not quickly enough. Over the next 10 years, the demand for scientists and engineers is expected to increase 4x the rate as other occupations. According to the U.S. Department of Education, a recent survey revealed that only 29 percent of Americans rated our country’s K-12 education in STEM subjects as above average. 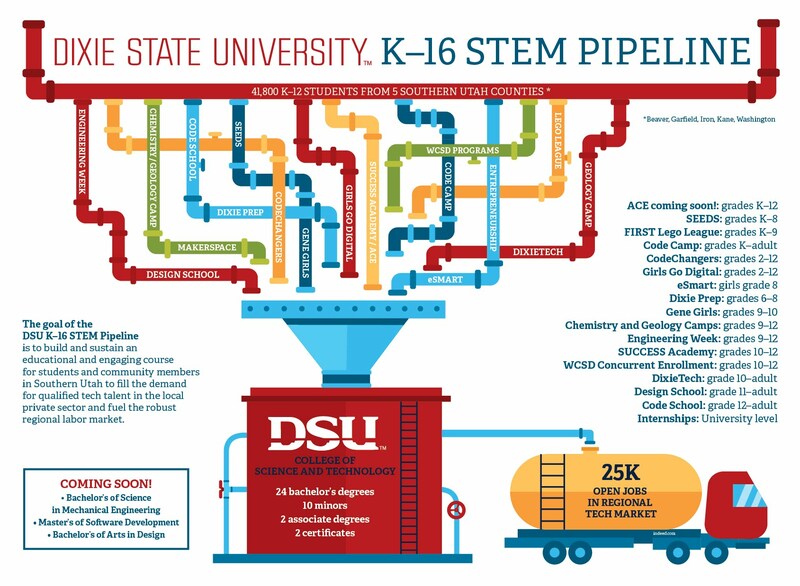 We want to help solve this problem by making STEM education a priority by providing kids in Southern Utah with above average, hands-on, STEM learning experiences. 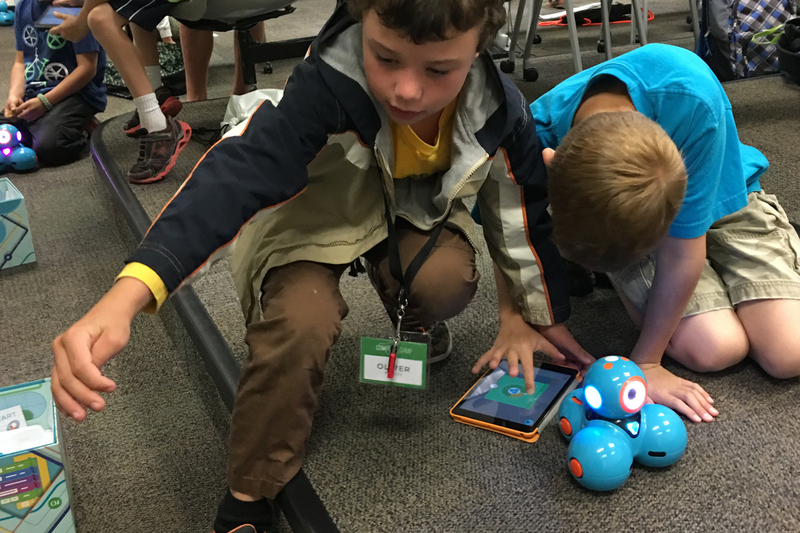 We offer over a dozen K-16 STEM summer camps and afterschool programs in coding, computer science, math, biology, geology, mechanical engineering and more! Through these programs, the kids in our community can acquire the skills and knowledge necessary to fill the coming shortage of workers in STEM fields in our very own backyard, all while having so much fun they won’t realize they’re learning! Our intention is to pave a way towards higher education in STEM-related subjects and ultimately careers which will fuel the regional labor market. We believe if we start with STEM, we can face the future with confidence!